For those that have not been following Dutchsinse’s YouTube channel and his amazing predictions of severe weather based on ‘HAARP rings’ appearing on radar, you might want to subscribe and check out his new website. As far as I can tell, he has 100% accuracy since I ran across him some six weeks ago. I have watched as he has nailed the St. Louis tornado, the Tuscaloosa tornados, Joplin’s monster, and now the twisters in Oklahoma. Please keep in mind that when folks no longer have a place to live and have lost family members, they aren’t usually as politically active as they might once have been; but I digress…. I phoned yesterday about this issue of severe WX. Please look at these URL sites and tell me the man is wrong in the forecasts he makes. If believable, why is our government making this WX? in the first video of the reference to “Vortex Spiral Radar Rings” in 2004 over New Orleans…..
To date; many folks have died, flood waters have devastated the mid-west. Why? Now they may be targeting NC & SC? Again why? Serious damage has happened in the past ” Katrina” and is still happening in the form of floods and severe storms. If above information is to be believed ( and I do ) still more serious damage to this country is in the near future due to HAARP operations. At the very least, damage that has happened already caused many deaths, scores of displaced residents, unbelievable damage to property, due to floods & tornadoes, that were possibly Man Made. All leading to shortages and higher Food prices. I am requesting a Senate Hearing/Investigation into the Operations of HAARP as to any intentional or un-intentional damage to the US. Please turn a spot light on HAARP and those who are controlling it. Weather modification I should think is serious business. Has HAARP gotten out of control? Perhaps it should be shut down until that investigation is completed….. I would like to hear back on this issue. Please tell me I am wrong to think our government is causing severe WX conditions. nope we dont make this stuff up! personaly I’m being harped elf’ed and fooked to freakin death out here? but, when they dance I just go right with um! A little something more to chew on after your readers have chosen to educate themselves about HAARP. This HAARP stuff’s been around for years. 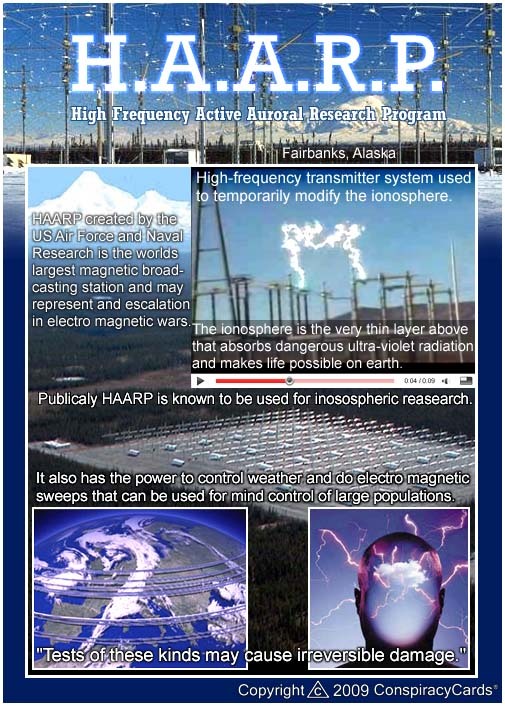 Why are we just now learning about it, and why isn’t Congress aware of it and DOING SOMETHING ABOUT IT, if HAARP really is MANIPULATING THE WEATHER? Why is it all so SECRETIVE that even Jesse Ventura could not penetrate HAARP’s walls and get to the TRUTH? Please explain to me the patents on it (weather modification) and the treaties signed expressing non-use of weather modification as a war tactic? Jesse Ventura is a fraud. He is exactly the things he tries to call out. Bet most people don’t realize that his name is really James Janos oh and he is part of the illuminati. Ironic, huh? 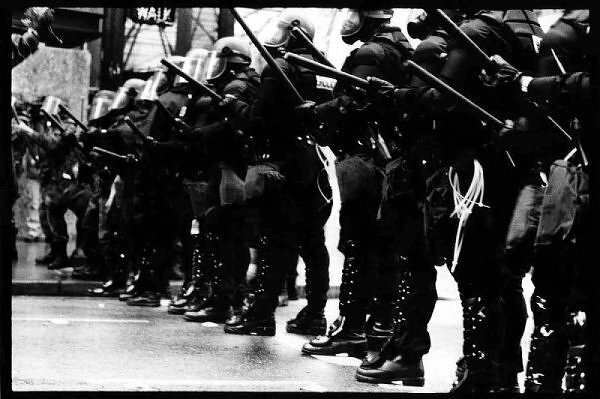 Considering he is a consiracy theorist trying to call out the government for being the same thing he is. The facts are everywhere. Why is it people still question things when the truth is right in front of our faces. The facts are that ‘they’ want population control. Why do you think they are attacking their own people with severe weather thy is causing destruction and death?! Why do you think they are targeting sc. I have a photo in my phone of chem trails that seem to go up at night but are there all day. I cant believe people dont see this and know there is not reason for so many paralelle lines in the sky. also, SC is cooking! !How in gods name can one even prepare, escape, or change this event? No one is going to do a thing about HAARP within this country. It’s military owned and operated with funding probably from the people Weather Modification has killed! Also we don’t know that it is HAARP creating the storms in the United States when so many other countries are also developing and involved in Weather Modification. Who’s to say that it’s our own country causing the rings here? Just something to think about, I’m against what HAARP is doing 100% but is it wise to shut down a place if it without the peoples knowledge could possibly be pushing hurricanes away or slowing them down. How do we know if THAT is what our Government is actually hiding from us! Either way, there needs to be a openness from our elected officials regarding the concerns of our country especially from a “invisible terrorist attack”, if that’s what it could be. 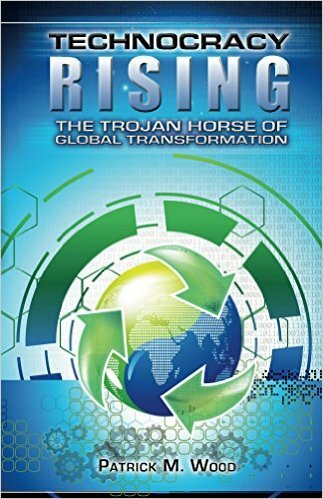 I’m not saying I don’t believe our Military (working along with HAARP) wouldn’t test out it’s creation on it’s own people, I’m just saying if not creating these “issues” within our Nation then they should at least publicly acknowledge the existence of these rings/vortexes so people can prepare for evacuation if they see fit.